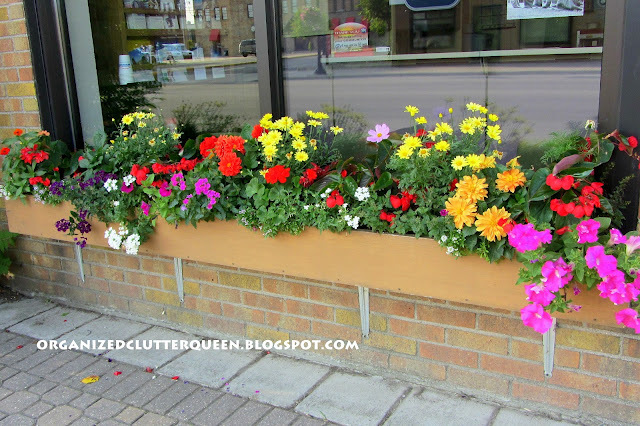 Do you remember my post "The Prettiest Window Box in Town"? 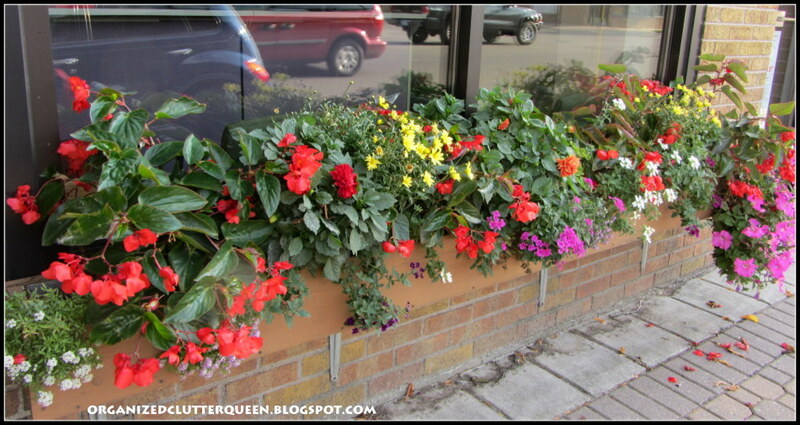 The subject of that post was a window box planted and tended by my sister in law at her insurance office building. 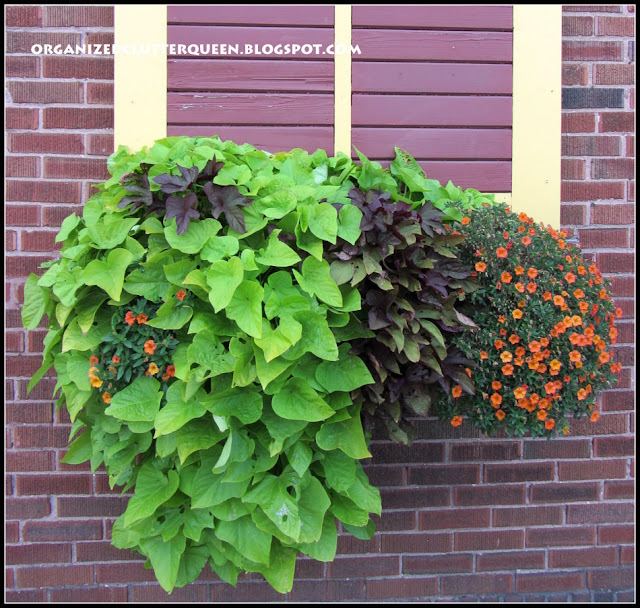 I just snapped a few photos after work today to show you how well the window box has fared this season. Still very beautiful, especially the angel wing begonias! 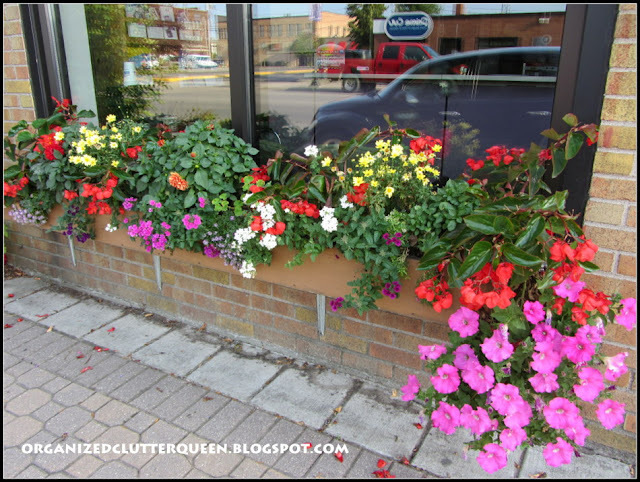 And since I work only a block away, I also photographed the window boxes at the furniture store where I work. 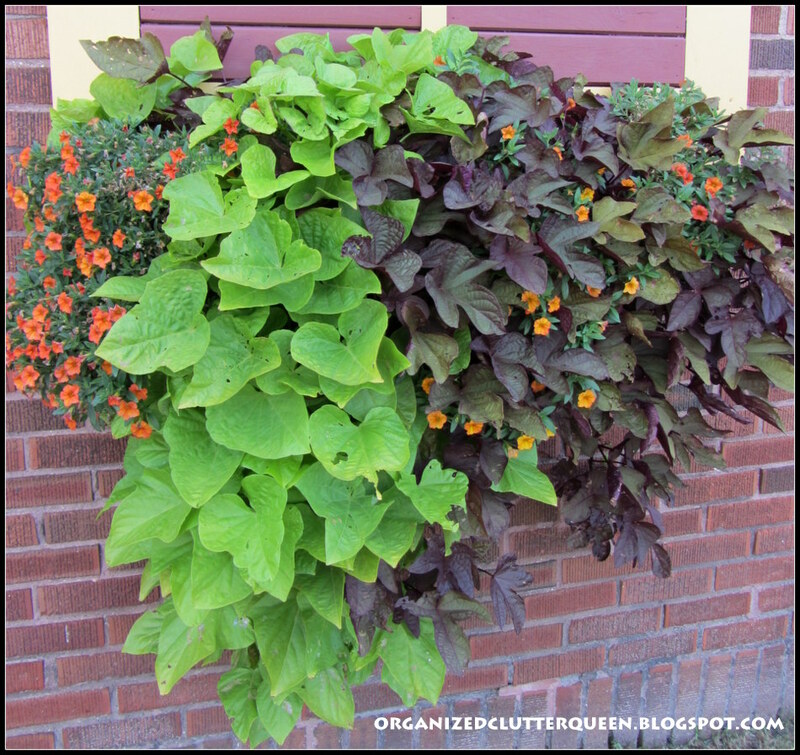 There are three window boxes, and they are filled with green and blackie sweet potato vines, and million bells. They cascade ever so nicely over the window box and down the brick wall. These are city cement planters filled with coleus and sweet potato vine on the corner by the furniture store. We give this a little Miracle Gro too! Hope you liked the downtown August window boxes! Just beautiful! None of my potted flowers and plants fared very well this year due to the heat. You both must have very green thumbs! When I am in Colorado I love the planters that they have planted everywhere. DOn't know what that has to do with your flower boxes, hah, but they are nice like yours. We have flowers in our downtown as well.....it is a special touch. The sweet potato vines are splendid. I like how they take the heat. Mine reseeded themselves this year. I love window boxes! Sweet potato vines are one of my favorites! So beautiful! It looks like they survived the summer heat quite well. 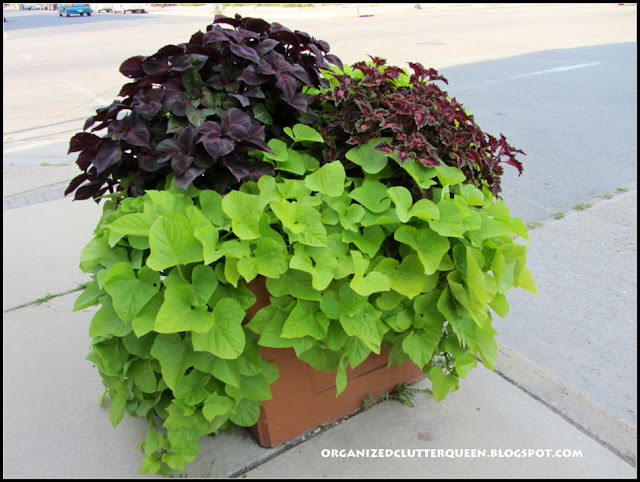 Sweet potato vine always makes a planter look so full and lush. Our city's gardeners use that quite often in the pots we have downtown. Fantastic! I love the sweet potato vines in a basket. I never thought to do that! Great idea and am off to the garden to do that right now! I'll show you my photos in our summer! I love the beautiful flower boxes so nice to see the petunias Too ! Love the splashes of flower color! Beautiful window boxes!! Thanks for sharing your eye candy. i love that electric green of the sweet potato vine! smiles and come visit soon. 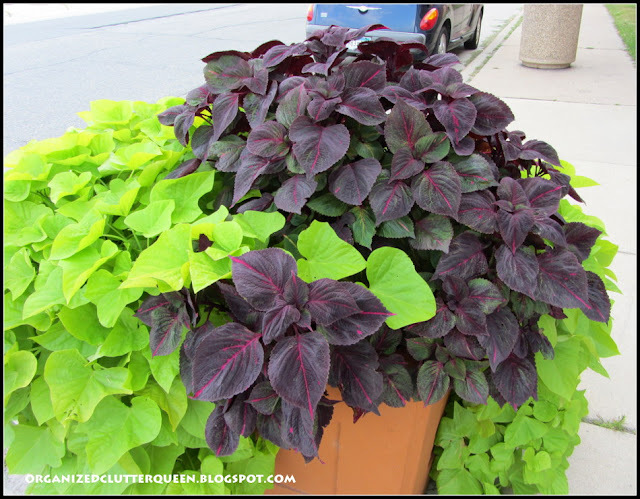 These are beautiful, Carlene--you can't go wrong with sweet potato vines and coleus and begonias in containers, I think, and it is definitely in evidence in your lovely photos. Thank you for sharing it with us--they're very pretty! 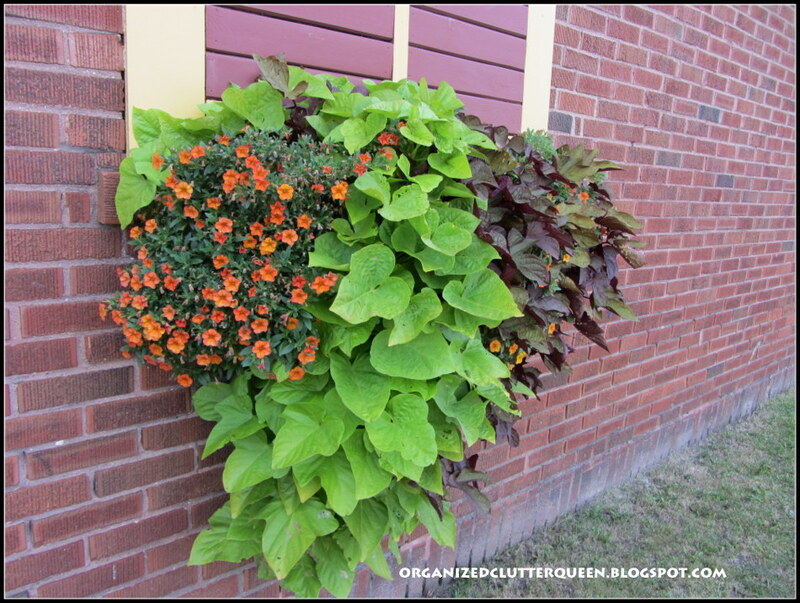 Sweet potato vines are one of my favorites. I need to stock up on more Miracle Grow for next year! What a delight to see!! Beautiful! Beautiful Carlene! 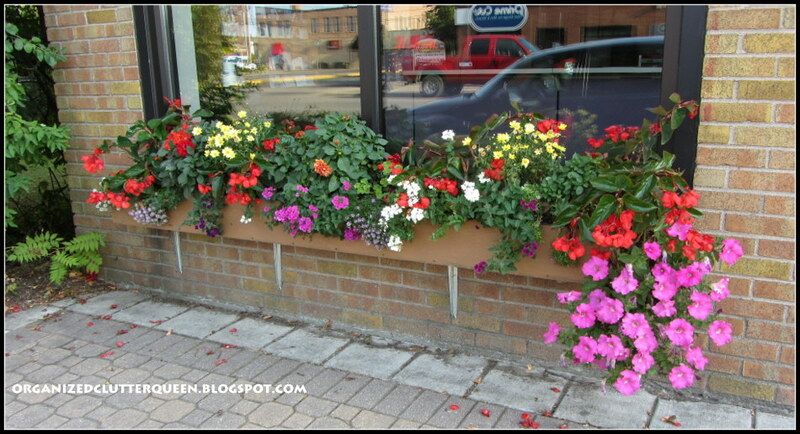 There are a few towns in Utah that have gorgeous planters all along their streets. Even some hanging from posts. They are such a beautiful sight to see. Don't they just help to brighten your day? Thanks for sharing with SYC. So beautiful! I need to plant some sweet potato vine.